is one of a few oceanfront, gated, single-family home and titled developments in Costa Rica; making 61 Hermosa Palms a great opportunity for those wanting to live steps away from the world famous Playa Heromsa. This lovely 2400 sqft. 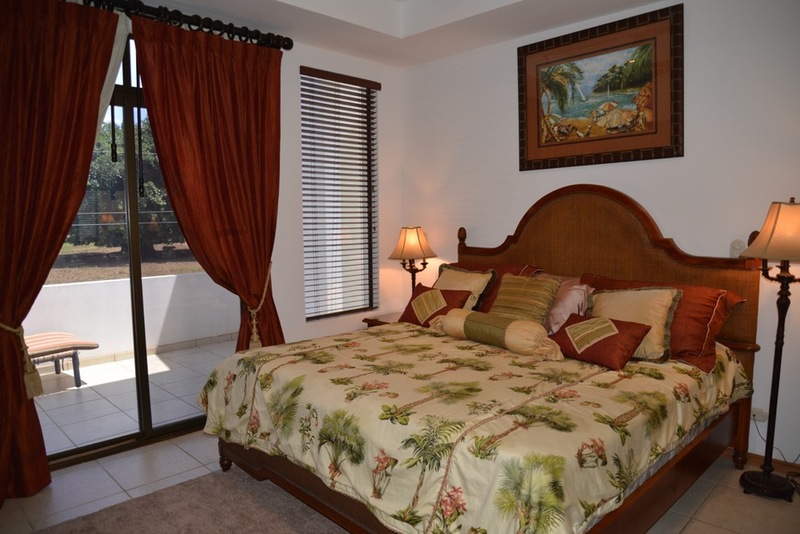 home was built in 2007 and comes fully furnished featuring 3 bedrooms, 3 1/2 bathrooms. The main floor is open concept with a large kitchen, dinning-living area and additional breakfast area. Feel free to spend your time enjoying the rooftop terrace, private back yard or the oceanfront community pool. This property has been immaculately cared for by the original owner and includes many upgrades such as solar film on all windows for heat protection, extra underground water storage tank with pump, two Carrier air conditioning units-one for upstairs other downstairs, Dishwasher, Washer/ Dryer, Garage Door Opener, Microwave, Range/Oven, Refrigerator. Hermosa Palms now has a brand new paved road leading all the way to the front gate. In the past the road has been the main barrier associated with living in this exclusive luxury neighbourhood as it was primarily dirt with an excessive amount of potholes. Now with the new paved road you get the luxury of living on one of the most beautiful beaches in the country, with only a 7 minute drive into the largest town on the central pacific coast, Jaco Beach. This change will significantly drive up the price in Hermosa Palms, and these units will not last. Playa Hermosa Refuge protects several habitats – ocean, beach, secondary forest and mangrove estuaries – that are home to a variety of species. In particular the Olive Ridley sea turtle (one of the world’s smallest marine turtles) relies on Playa Hermosa as a minor nesting site in Costa Rica. Their nesting season occurs from June through November, while September, October and November see the largest numbers of turtles. Volunteers work to protect the turtle eggs from predators and help hatch-lings survive their journey to the ocean.